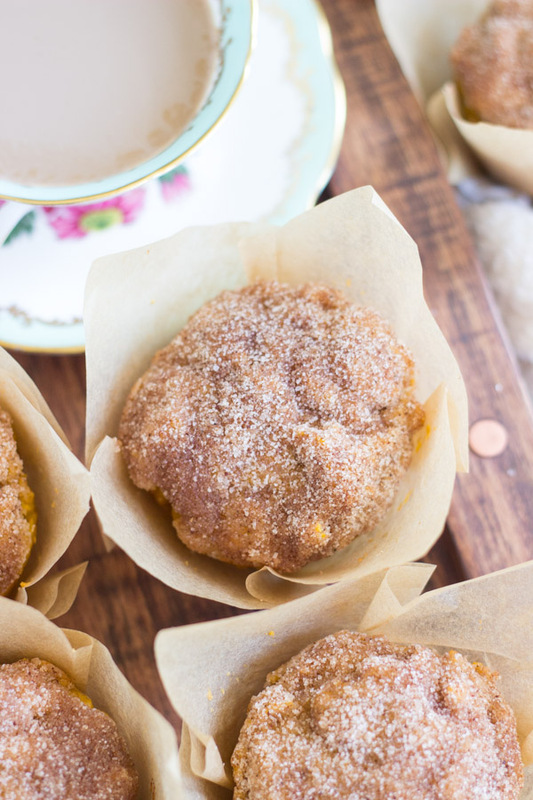 These Pumpkin Donut Muffins are like a baked pumpkin cake donut, but in muffin form. Cakey interior, and cinnamon-sugar coated exterior! 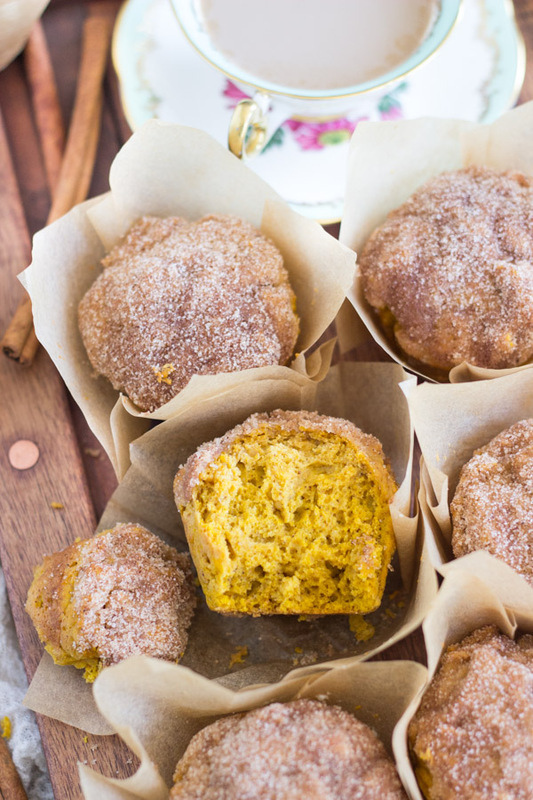 You’ll just have to try these Pumpkin Donut Muffins, but you won’t be able to stop with one! There’s a lot of Pumpkin Donut Muffins recipes on the internet, and I’ve always wanted to recreate one myself. I’ve made regular donut muffins, and they were a pretty big failure. 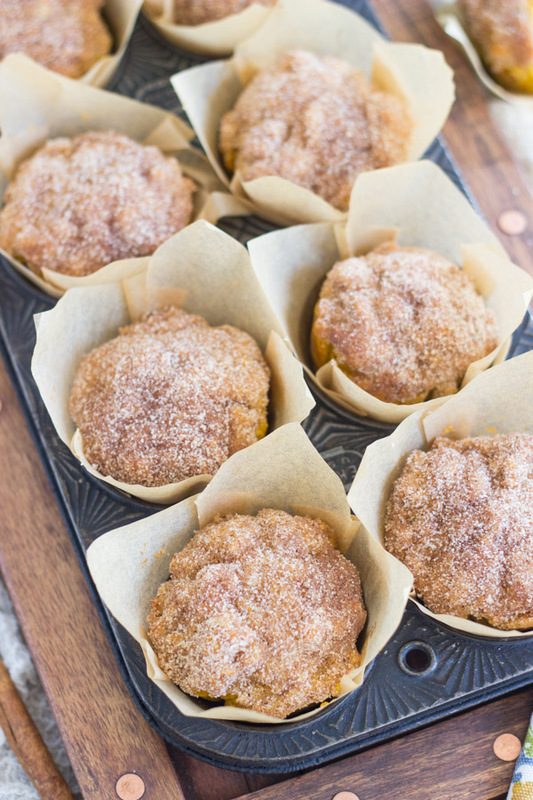 I found the recipe for basic donut muffins in my S.O.’s family cookbook – it was his stepfather’s mother’s recipe. The flavor and texture were actually fantastic, but they sunk in the pan and were completely flat, and they stuck to the pan horribly. Despite those flaws, they tasted delicious. Lol. But one thing I learned about ‘donut’ muffins in the course of testing these Pumpkin Donut Muffins is that the essence of donut is a lot to do with nutmeg, interestingly. Want a muffin to taste more like a donut? Add nutmeg. Really, it’s alllll in the nutmeg. But it has to be the right amount, and the other spices need to complement well. I don’t even like nutmeg. It’s my least favorite baking spice, but it’s what makes an ordinary muffin taste more donut-like. Nutmeg is magic fairy dust for muffins. Okay, it’s about texture too. You want a cake donut texture, of course. A few people recommended that we go to Baked & Wired for the cupcakes, and if you find yourself in D.C., you absolutely MUST. The unicorn cupcake is like no other cupcake I’ve ever had in my life, and is probably the best I’ve ever tasted. I beg her to ship them to me. If it could be done, I’d have unicorn cupcakes on weekly auto-ship to my house. Outside of the spectacular and mind-blowing cupcakes, Baked & Wired had a few options for breakfast pastries, including, yes, Pumpkin Donut Muffins. Omg, they were ridiculous. First of all, they were gargantuan Pumpkin Donut Muffins. They were coated in butter, dipped in cinnamon-sugar, and had the most spectacular texture. They were a bit cakier than a standard muffin, and super soft. But they were still dense like a cake donut. And the flavor was spot-on. Loaded with pumpkin and spice. I don’t know, it was perfect. It melted in your mouth. 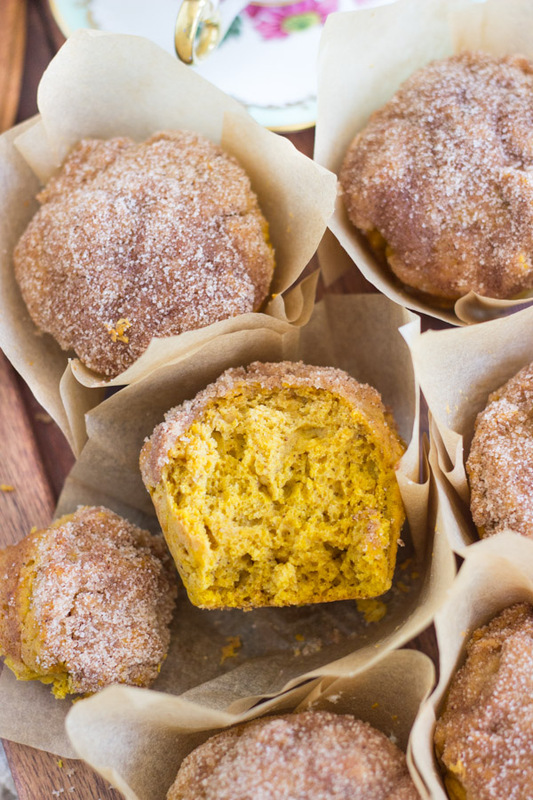 I needed to have something like that to make at home, and these Pumpkin Donut Muffins were the answer. 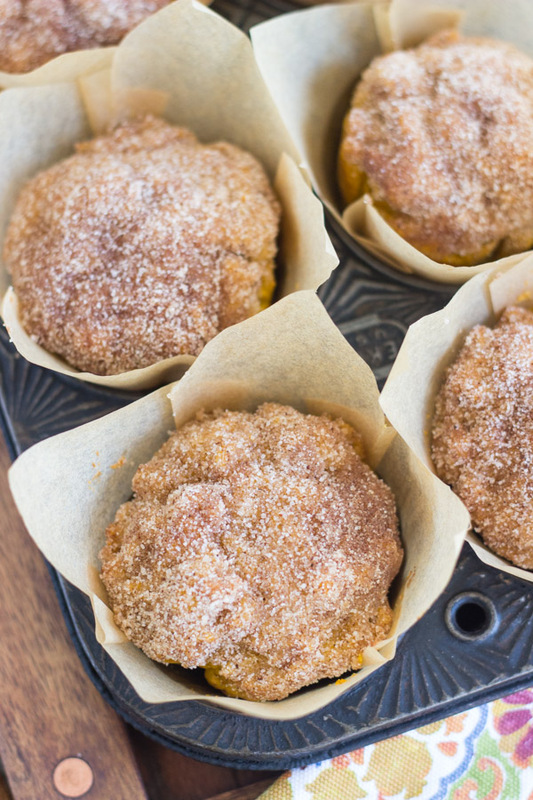 This Pumpkin Donut Muffins recipe is not a total replica of Baked & Wired’s, and I’m not sure I’ll ever figure out exactly how they make theirs, but these are close enough to satisfy my craving. Donut muffins are like a whole baked good category of their own, and are hard to describe, but since they are easy enough to make, you should definitely try them so you can know the hype for yourself! For other breakfast and brunch recipes that feature pumpkin, check out these Pumpkin Pecan Scones with Brown Sugar Streusel – they’re lightyears better than any bakery scone, and that streusel is heaven-sent! 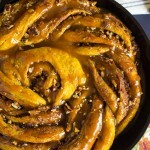 You might also like this Easy Pumpkin Pecan Pull-Apart Bread, and it’s an absolute cinch to make. It takes a major short-cut, so it’s a breeze to throw together. 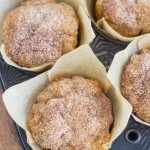 I also recommend these Snickerdoodle Pumpkin Nutella Muffins. You can have a batch made in about 30 minutes, start-to-finish! 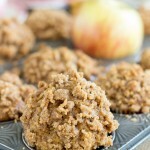 These Pumpkin Apple Streusel Muffins combine pumpkin and apple, so they scream fall all-around! And I love this Pumpkin Gingerbread Crumb Coffee Cake. It’s a little more work, but it boasts a super thick and amazing crumb topping, and pumpkin + gingerbread is fantastic!!! 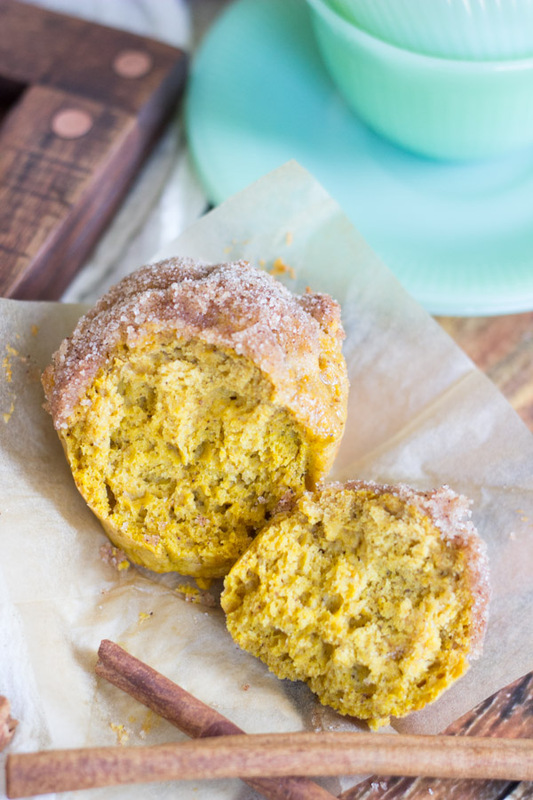 These pumpkin donut muffins are like a baked pumpkin cake donut, but in muffin form. Cakey interior, and cinnamon-sugar coated exterior! Spray 12 regular-sized muffin cups with non-stick spray. In a medium bowl, whisk together flour, baking powder, baking soda, salt, nutmeg, cinnamon, and pumpkin pie spice. In a large mixing bowl, beat butter and brown sugar until light and fluffy. With mixer on low, add half of the flour mixture, then the pumpkin mixture, then remaining flour mixture, beating until just combined. Bake at 350 degrees for about 25 minutes, or until a toothpick inserted near the center comes out clean. Meanwhile, in a small bowl, combine granulated sugar and cinnamon. Remove muffins from pan, dunk the tops (or the entire muffin) in the butter, then toss to coat in sugar mixture. These look incredible!! And I love nutmeg! Thanks for sharing on the What’s for Dinner link up!! Yum these look so yummy! I love donut muffins and pumpkin muffins. How have I never thought to mash the two together?!? Pinned to make later. This recipe looks amazing! Featuring you on the blog on Monday! Thank you for linking up to our party! That’s awesome! Thank you so much for the feature!! Well, you have inspired me to do some baking this weekend! 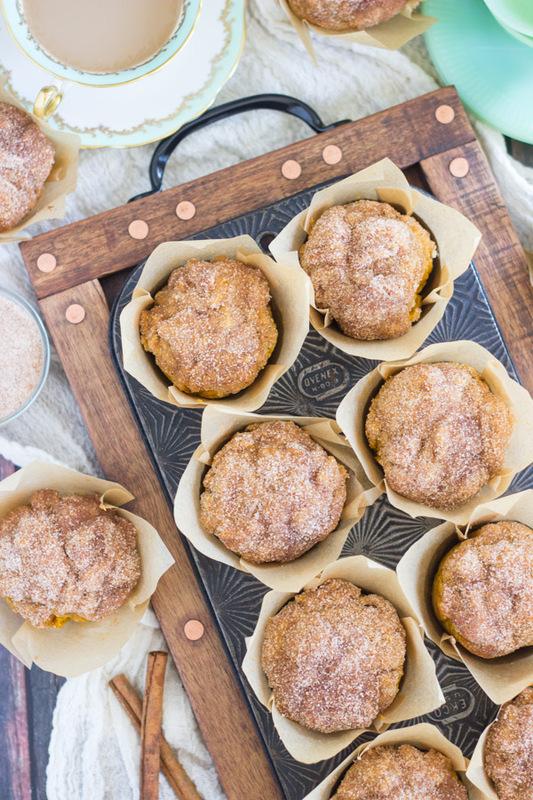 So yummy and perfect for the pumpkin season! I’m drooling over all the pumpkin recipes everyone has been sharing lately. 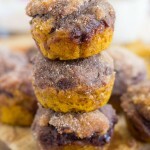 My hubby loves pumpkin everything – I should make these for him! Thank you! 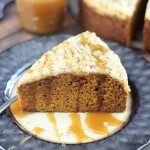 I’m addicted to pumpkin recipes! What a yummy sounding muffin. Thanks for sharing with us this week at Throwback Thursday. Pinned and shared! Thank you so much for the party, Quinn! Looks so yummy. I love your pans too! Thanks for sharing at the #InspirationSpotlight party. Pinned & shared. 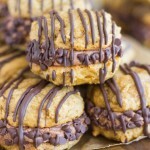 OMG, do these ever look delicious! Wish I had one to go with my morning coffee right now! Thanks for sharing! Me too, actually!! Gonna go make some more. Lol!